We all seek beautiful hair, skin, and nails, but sometimes it takes more than a healthy diet and the right topical treatments. There are tons of beauty supplements on the market that promise to target these specific zones, but it can be difficult to determine what works and what's all talk in the gray area where nutrition meets beauty. So to find out which hair, skin, and nail vitamins are worth committing the time and effort to become your best self, we sought the feedback of the women who swear by them. We navigated reviews and sifted through the noise to come up with the five best supplements that are pretty much Miracle-Gro for your hair and nails. So say hello to glowing skin, shiny hair, and strong nails with the following supplements that have proven their efficacy in real life. Keep scrolling to see the supplements women say worked for them. 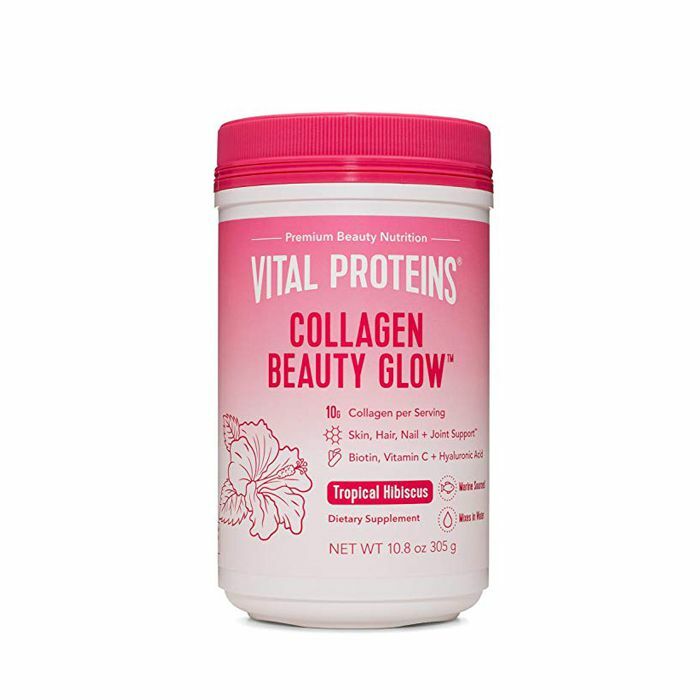 This fruit-infused blend of marine collagen peptides is also chock-full of hyaluronic acid, probiotics, biotin, and vitamin C for practically every beauty concern you may have. Together, the ingredients work to firm and increase elasticity in your skin, fight dullness and uneven texture, and even fill in fine lines and wrinkles over time. 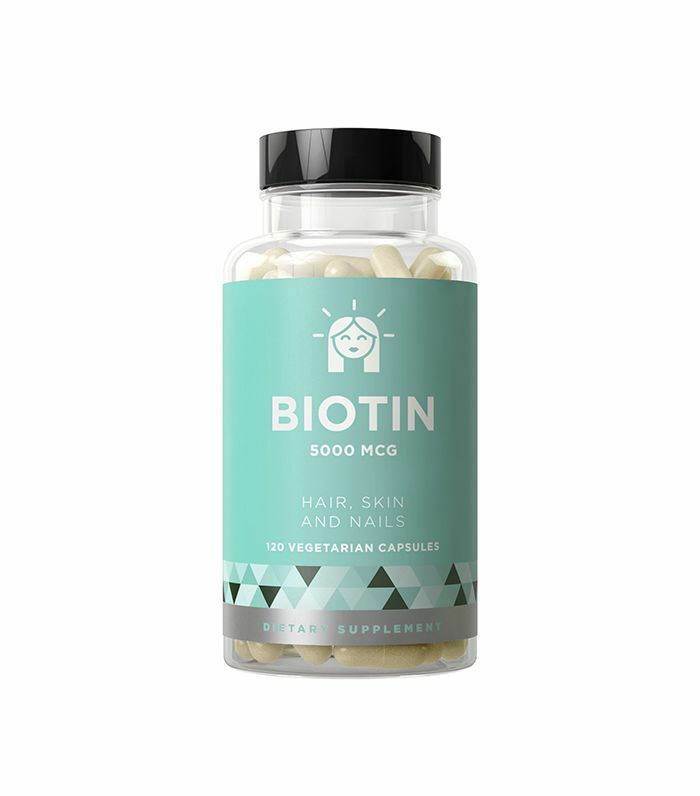 The vitamin C and biotin promote collagen production for your hair and nails too. 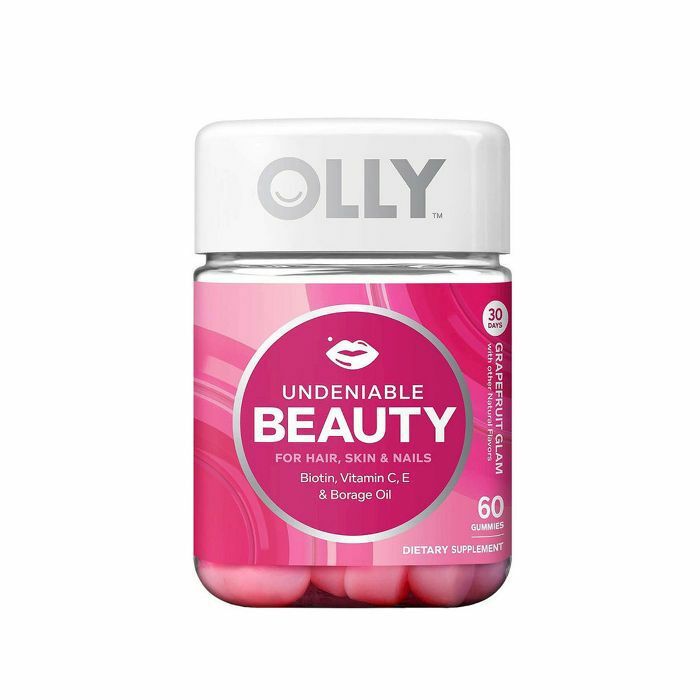 Bright eyes, dewy skin, and healthy hair are all possible, courtesy of Olly Nutrition's blend of biotin, borage oil, and powerful antioxidants—all mixed together in a snackable gummy. They incorporate vitamins E and C and all you have to do is chew up two per day. The powdered mixture of anti-aging compound purslane and skin-clearing telomerase provides anti-inflammatory, anti-oxidative and nutritive properties each time you take it. 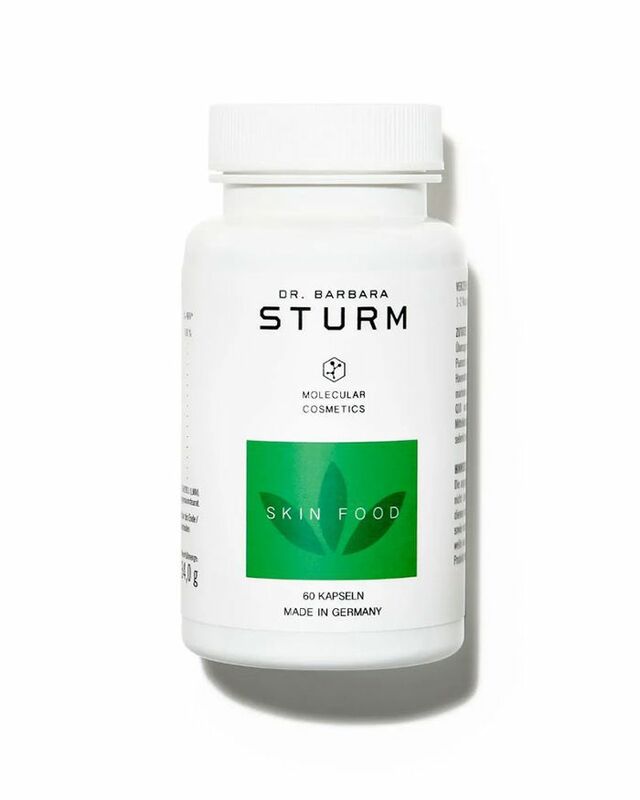 "I worked with professors of the University of Miami on the compound, an elusive superfood with such powerful benefits to skin health," Sturm said of the supplement. "I am so passionate about my hero ingredient in my skincare range, that I want to have it internally every day," she says. 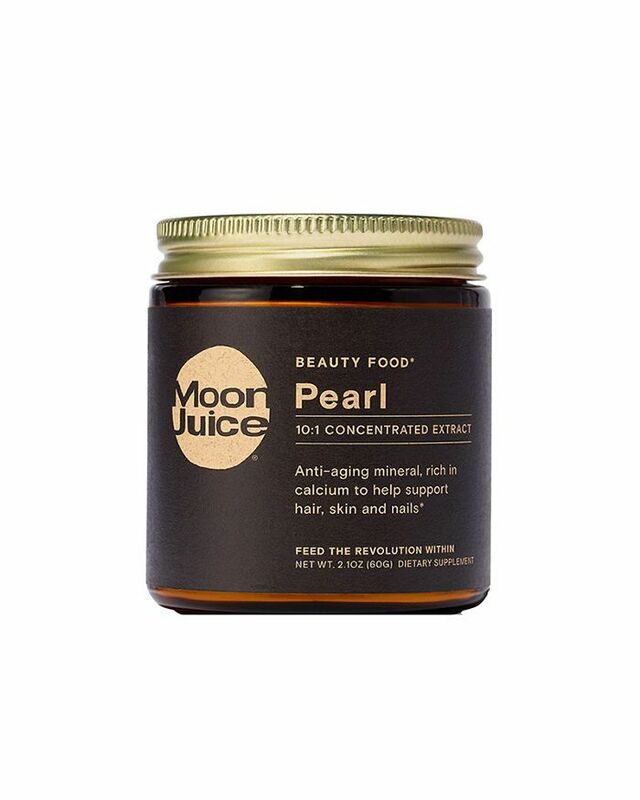 To help enhance your skin’s glow, Moon Juice created this powder rich in calcium, anti-aging and antioxidant properties, as well as ingredients to stimulate collagen production, even your skin tone, and strengthen your hair. Pearl extract, the hero ingredient, does exactly what you think it would: add tons of radiance. All you have to do is mix it in with your morning smoothie or a cup of coffee and watch your face and hair glow. This black bottle is a number one seller on Amazon with nearly 6000 reviews, of which a whopping 71% boast a perfect five-star rating. 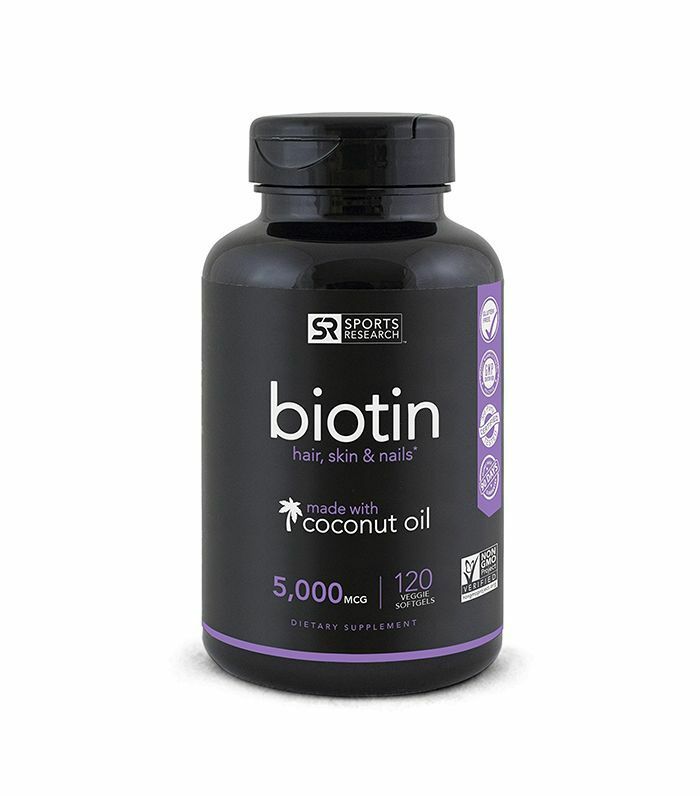 Delivering biotin in cold-pressed organic coconut oil, this formula promises better absorption so you can start seeing the results you want quicker. Women have shared photos of their hair they say now grows an inch per month and long, thick nails. 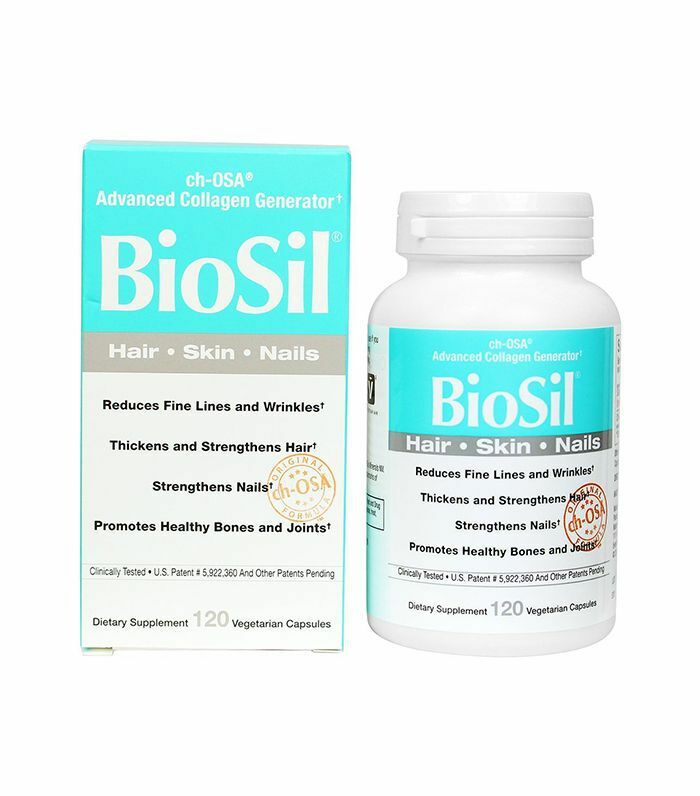 Members of our Facebook group The Beauty Line rave about the hair-growth prowess of this collagen supplement, which also promotes plumper skin and stronger nails. It's also totally vegan (some supplements contain animal byproducts). 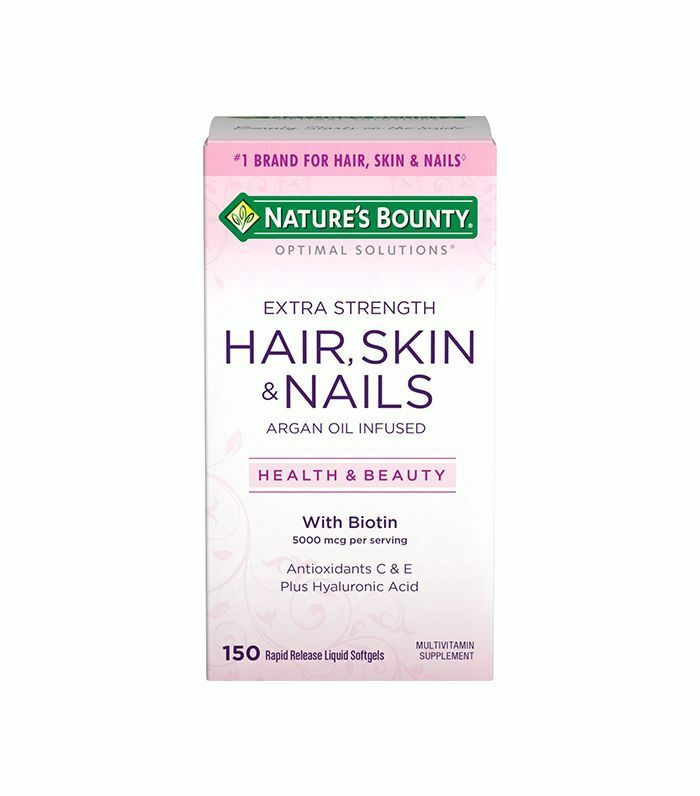 Women say they can't live without this product, citing thicker hair and stronger nails. The extra-strength formula is infused with argan oil, leading to lustrous, healthier hair. These vegetarian capsules are free of fillers and binders and have an almost perfect rating on Amazon. Women say it helps bring fullness back to thinning hair while also restoring shine and speeding up growth. 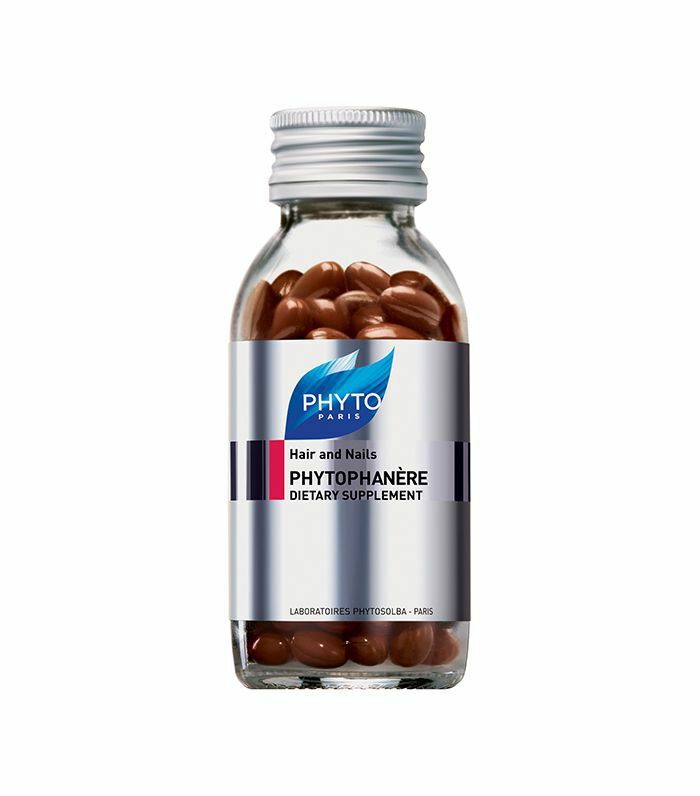 Not only does this popular dietary supplement (with 10,000 loves on Sephora) give a healthy boost to hair, skin, and nails, but when used in conjunction with the French line's Phyto shampoos and treatments, it also boasts visible results in just two weeks. 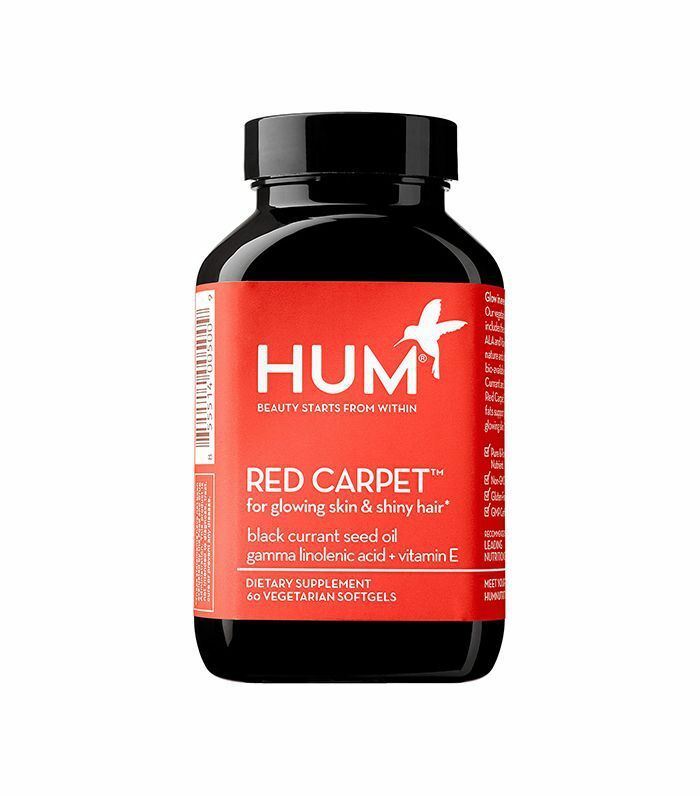 Hum has an impressive lineup of supplements that promise to beautify from the inside out, but this particular formula targets skin and hair for red carpet–worthy results. Users rave about clearer, smoother skin and fuller hair thanks to the vegetarian formula's mix of healthy essential fats and vitamins. Up next, take a look at the supplements nutritionists are adding to their Amazon carts.